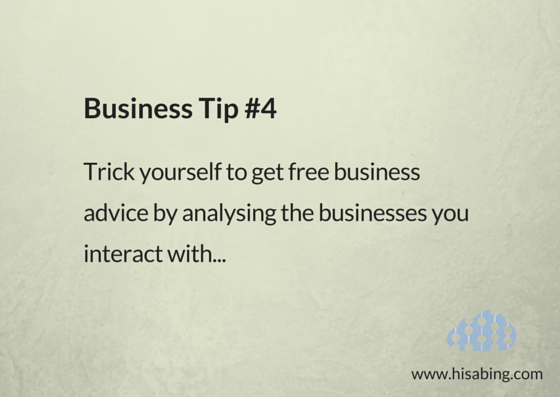 As you go about your day, analyse the various businesses you interact with. 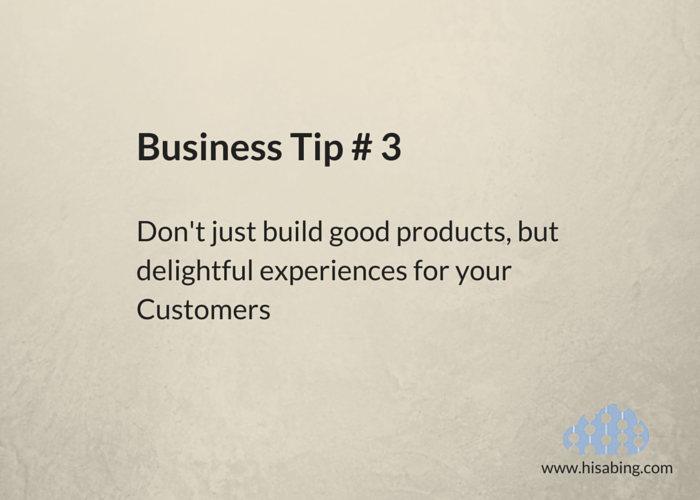 Applying what you have observed at other businesses will help improve yours. Ask questions to yourself about other business. Seek answers and simply apply the idea of these answers to your business. Observation: When we look at other business, it is easier for us to conclude whether they are right or wrong. Hence observation helps us gain knowledge about the market and competitor. Learn: Through these observations, try to extract enough knowledge for your business. Test: Observation is of no good when it’s not applied into your business. Relevant learning from these observations should be applied and tested. Repeat: Constantly obtain advices through this process by repeating the process and help yourself through the work of other business. No matter how your office functions, there are always ways to improve upon the processes to achieve enhanced productivity. There are two ways to achieve higher productivity. Work longer or work smarter, and in this fast paced world, time is money and we are acutely aware, how important it is to choose the latter option. Question is…how do we go about working smarter to increase productivity and efficiency? Well…Here are a few practical measures your business can take to boost productivity. The right workspaces can greatly influence and increase employee productivity. Some employees prefer an open floor system;others prefer a closed cubicle ambience. For some bright colors do the thing, and yet for some subdued tones are preferred. Ideally try tweaking your office design while carefully incorporating both models so as to efficiently cater to employee needs. Your employees spend a major part of their day at work. Make sure the office furniture is comfortable and lighting sufficient. Happy people are productive people. The capabilities and skills of your office staff and the application of their know- how to their daily job, are key to productivity growth. Highly skilled workers are more creative when it comes to finding new solutions and seldom find it difficult to adapt quickly to new technologies. They also are capable of more responsibility, require less supervision and are better communicators. Hiring skilled workforce and investing in training the existing ones goes a long way in improving productivity. Some of the simplest tasks can consume a big chunk of your entire day. Adopting new technologies can change everything we thought we knew about working, sharing, monitoring, accounting and protecting our computer systems. One such wonder filled technology to have captured the fantasies of businesses all over is CLOUD. Cloud computing takes the hassle out of sharing, storing, collaborating and retrieving. It helps your workforce to break out of the confines of 4 walls and take business on the road, offering remote access and doing unimaginable variety of functions. Find out all about the latest technologies that suit your need and you will be amazed to know how investing in good technology can do wonders in saving time, upping efficiency and boosting productivity of your business. Every employee loves to feel that he has the ears of the management. Efficient display of interpersonal skills by management helps employees warm up and experience joy in working. As management, you have to recognize the unique attributes of your staff, show interest in giving encouragement by giving additional learning opportunities and rewarding good performances. Keep them motivated by adopting innovative ways. Small gestures make a big difference. When your employees will feel that they are wanted and appreciated, they will put in more effort making your business a winner. Avoid holding frequent meetings. Study shows not much is gained and in fact precious time is lost holding numerous periodic meetings. Instead hold minimal meetings, but with thorough preparation. Prepare a checklist prior to the meeting and stick to it without wandering off. Constructively plan the meeting to the last detail and invite only attendees that can contribute to the discussion positively. This will ensure that the meeting achieves what it aims and help save time in the process. How Safe is the Cloud for Accounts ? Today, one look at your smartphone will make you realize our dependence on the web to manage our personal and professional existence. Newer technology is giving way to older ones enabling wonderful possibilities. One such technology, the Cloud, has become the go-to for endless needs. Dropbox, Google Drive, Sales Force etc. are all examples of easy to use Cloud based tools. Think of Cloud as the platform to make data available from anywhere and anytime. How does Cloud accounting make a difference? Cloud based accounting has paved a new way to look at Finance Management. Organizations that have been using traditional accounting systems are waking up to this delightful service, because they reckon that storing data in a physical filing cabinet is both tedious and risky. But I store my data on a computer! How is that risky? The disadvantages of storing data on hardware are way too many to overlook. For instance your computer is vulnerable to hackers, viruses, spyware, identity theft and spam! Worst still in the event of loss or theft of your computer, your business could be greatly interrupted. To add to the woe, your company’s financial history is all up there, prone to misuse if intended. Even if you choose to back up data along the way, it can prove to be both costly and complicated. How is Cloud accounting better security wise? Cloud eliminates the need for you to store data on local hard drives and servers. It safely and securely stores your uber private data on encrypted and remote servers. Engineers with thorough expertise in data protection are employed who dedicate their time in understanding how hackers think, and innovate measures to keep them at bay. I am still not convinced! If you don’t switch to Cloud, because of safety concerns, you end up opening yourself up for greater potential threats and sacrifice the incredible ease of use of Cloud technology! Does it mean it is always safer to use Cloud? Yes! If you choose your software vendor wisely ( preferably reputable), Check if the vendor has his security certificates in place, and ultimately exercise caution while accessing application from public or shared devices, cloud accounting will prove safer, easier and better than traditional system every time. overall efficiency of your business. When we started our HISABING journey in November of 2013, our goal was simple – To build a tool that helps businesses leverage all the possibilities of modern technology. A good 17 months later and with over 350 users on board, we are overwhelmed by the response. It makes us proud to know that so many of you have embedded us in your businesses and we are thoroughly grateful for the trust placed in us. Every time a quotation or invoice is created, auto triggered SMS are sent to both the user and the customer informing each about who it is sent to in the former case, and who it is from, in the latter . This keeps both the parties posted about the transaction activity. This feature facilitates the user to monitor and keep track of all the payments received, systematically enlisted , under each invoice. This aids the user to keep abreast of all remittances at any given time. Each time an invoice is sent to the customer, an automated payment reminder mail from HISABING is sent along with it based on the payment terms set in the invoice. This mail enlists all the pending payment invoices pertaining to that particular customer. Keeping tabs on payments was never easier! This feature is a particularly useful one. When an invoice/ quotation creation is left midway due to interruption, it gets auto saved in the draft section. This allows the user to resume creating it whenever he wants. This feature enables the user to attach documents or pictures along with each invoice/ quotation , if need be, before mailing it to the customer. This is a separate module provided to the user, to track his daily expenses. This module facilitates segregation of expenses according to categories and the vendors that they are targeted towards. Every week, the user gets a mail, showcasing all the activity done during that particular week. This, along with an attached PDF file with consolidated information on payments, invoice creation dates, etc. in brief, enables the user to be well informed and up to date. This feature allows the user to export an invoice/ quotation to an excel sheet, when sending it to the customer. The details are automatically arranged and aligned , saving effort and time. Nothing much really, as our beta customers you will continue to have the plus features for an additional 30 days. Even after that, however, the basic features of invoicing and quotation management will continue to be free whereas some of the features will be available on an upgrade. The road ahead is exciting, we already have some things up our sleeves. Towards the end of May, we are planning to launch industry specific modules for the trader industry. Some of the exciting new features we are looking at are – Inventory Management, Managing Purchases , Vendors, Enquiries, Email Blast , Tally Sync and more, all within the simple and intuitive framework of HISABING that you guys are familiar with. We look forward to your continued patronage while we passionately deliver the best in technology for you. OUR CUSTOMERS ARE SMARTER THAN EVER. HOW COME? Your customers have taken to the digital world more than ever before and have become savvier than ever. Social media has become the primary source of spreading information about products and services. Each opinion is viewed and discussed by thousands. Customers today are armed with loads of information and are subjected to an insanely wide choice of products. What then, is going to convince them to buy your product/ service? OH! WHAT IS THE SOLUTION TO THIS? Simple! Go beyond the product benefit and concentrate on delivering new signature moments. How does one do that? Well customers are humans and are driven by emotions. Every customer has at least one emotional component to his/her decision. Catering to that emotional touch point along with practical considerations is smart business. HOW DOES ONE CATER TO THIS TOUGH POINT? Don’t just think of delivering a good product, but consider the opportunities to meet customer needs surrounding your core product/service. Identify non served customer touch points and address the untapped potential creating a unified product/ service benefiting the customer and the company. By creating innovative and memorable experiences, that create emotional resonance in your customers, you are branding the total experience and not just a product. You then create a compelling brand allegiance in your customers. Isn’t that exactly what you are looking to achieve? In today’s world of evolving customers and cut throat competition, just adding ‘Customer Centricity’ to the vision statement isn’t enough. To achieve unprecedented growth in sales, one needs to understand how the customers think. How do we set to achieve that? Simple, Listen!…Active listening to your customers needs and digging deep into his challenges, will give you a broader understanding of what they seek. Some customers go by visual appeal, some by how it feels, others by how others have taken to it. 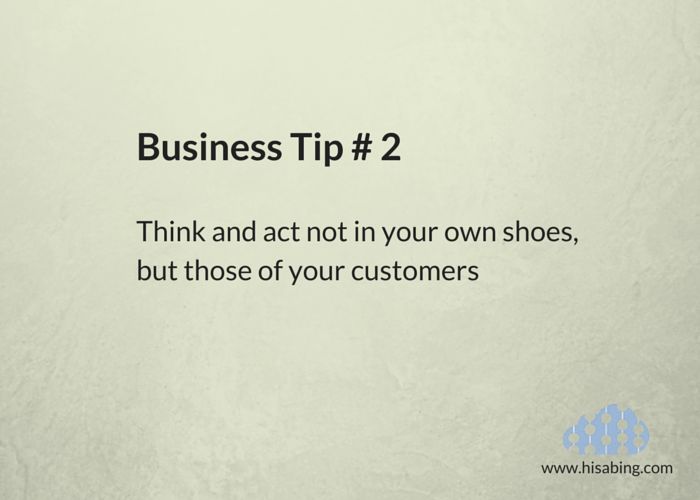 You have to identify the customers mode of thinking and then tune your thinking to match theirs. Your prime goal must be to try and tie your product/service solutions to the achievement of your client’s goals. Get into your customer’s shoes and identify their most important business goals and the challenges they face. Then position your product/service in a way which solves their challenges in a way they understand. In the end that’s what differentiates mediocre sales from outstanding results. 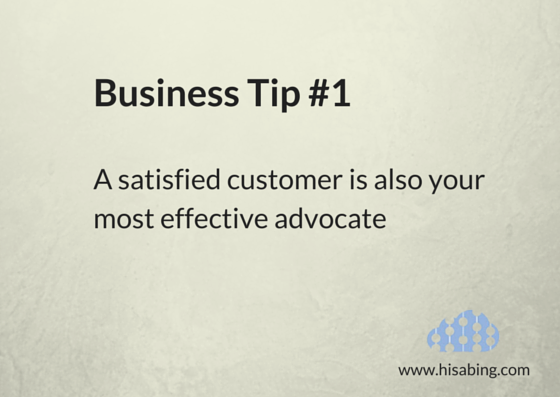 Aim for customer satisfaction : An organisation’s most effective salesperson are its customers. A satisfied customer who talks enthusiastically to friends and acquaintances generates new business. Many successful restaurants, for example, rely entirely on word-of-mouth recommendations. A successful sale has three winners: the salesperson who made the sale, the customer who receives the benefits of the product or service purchased, and the selling organisation, which gains both sales revenue and a satisfied customer. Selling creates a personal relationship between the salesperson and a customer. An effective sales relationship involves taking orders for products that satisfy or delight your customers. Create Relationships: Making repeat sales to an existing customer is usually quicker and cheaper than finding a new prospect and securing the first sale – so repeat sales are also more profitable. It is based on mutual confidence: customers reveal information about their needs and wants, or their company’s problems and opportunities. In return, the salesperson maintains confidentiality and helps the customer to buy products that meet those requirements. You can build relationships by concentrating on providing your customers with solutions that produce real benefits. Why Excel Sheets are NOT meant for Quotations? You don’t use Paint to edit pictures (anymore!) because there is Photoshop. You don’t use Notepad (hopefully!) to write stories because there is MS Word. You don’t use pagers to leave an urgent message (those old days!) because there is a mobile phone. Then why use MS Excel for your quotations when there is Hisabing? Evolution is the law of life (thanks to Darwin!) and innovation is the way of technology (thanks to Jobs?). Let us take a look at the reasons why Excel Sheets are NOT meant for Quotations. Constant price fluctuations need to be upgraded in your invoice. This is a bit tiresome when using Excel. So, edit your invoice and update the prices with ease because Hisabing maintains a clear record. 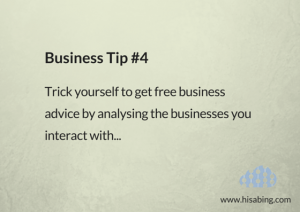 You could well go ahead and approach a new client with the time you save, when using Hisabing! The app makes your calculations easy (yeah, no more typing those formulas!). It’s time to subtract these troubles of additions and editions and use Hisabing! As if typing and editing wasn’t enough, you still got to convert your Excel file to PDF format, which, truth be told, is inconvenient. Hisabing takes no account of this unnecessary step, thus reducing your work. With this efficient app, draft your quotations on the move, without hassle of any formatting. Whichever Operating System you got on your phone, be it Android or Windows; Hisabing accords you mobility. So, when it comes to quotations, do your business on the move. Anywhere, anytime, any day (or night!). Missing Pricing Records – Where to file the report? “Mr. Iyer, last time you quoted X and this time Y; why this inconsistency?” We all know that some unintentional difference in pricing can be fatal for a business deal. So, get Hisabing and keep a tab on the prices. 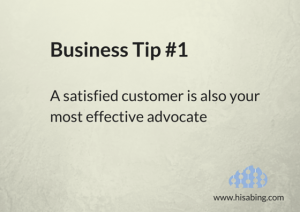 Not only the pricing, but also remember the details of your valued customers with Hisabing. Say goodbye to thoughts like: What quotation? How many? Which ones? Got no idea; and instead, keep a track of all the quotations you sent by using Hisabing. This record will be there in your mails as well as your text box. Yes, you read that right – real-time SMSes are sent for your convenience. When you put so much effort in every aspect of your business, there’s no need to over look Invoicing. Make an indelible positive impression in your client’s mind, by creating invoices with Hisabing, because it is all about Invoicing done (the) right (way)! Hisabing is a SAAS based tool to help businesses get structured. After years of seeing several businesses struggle to keep their sales workflow intact, after facing several such issues ourselves (at Siam Computing) , we decided to scratch our own itch and build a solution ourselves. Hisabing is a product out of all those miserable times when those little things get to you, like when you just cant get the price you quoted a few months ago, or, when you need to send out an invoice while you are out and about, or, when you need to know whats your cash flow at the end of the month or who owes you how much and since when. All those little things needed taken care of and we have decided to take the onus upon us. We are in this for the small guy, we believe that in this flat world, everyone should get a level playing field. Which is why, invoicing and quotations will always be free . No ads . Just Free . We embarked on this journey not knowing its final destination, as more and more users see the benefits of getting organized, we hope to continue building tools that add value to your business and invite you to invest in your own business through these tools. Its an exiting road ahead and we hope to continue to have you onboard as this story unfolds. Chennai 108 , India .